I love the idea of all white, but other than dresses, it's been years since I've paired a solid white top with a solid white bottom. The last time I did so, someone said I looked like a nurse. So, I was wary about it this time and decided to add pops of black to break up the monotony - although black is pretty tricky, too, because you could end up looking like restaurant waitstaff. This felt great though, and I loved the way it photographed also. 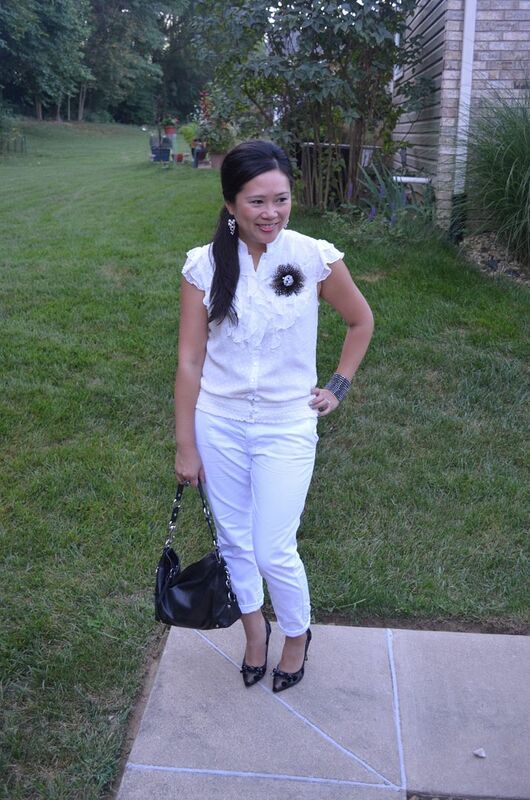 While I don't abide by the rule of avoiding white after Labor Day, this was a nice "end of summer" outfit. Although ironically, this week is probably the hottest we have experienced all season. What about you? 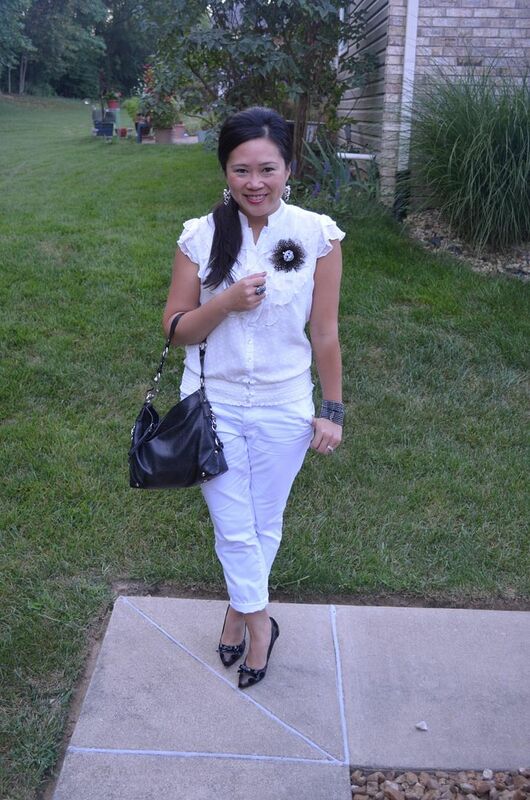 Do you wear white after Labor Day? Thanks! They make me smile! 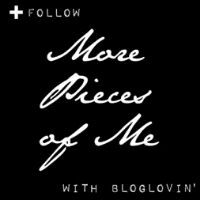 Stopping by from Shanna's link-up. I love your outfit, especially your brooch. So cute! Thanks! Sometimes I feel like a brooch is so old fashioned but I always get so happy wearing this! Posh & polished & your out the door! Amazing. I could never. And I'm sure I do wear it after labor day... but as fades my tan, so does my taste in white. Thanks, lady! And yeah, I love how white def accentuates a tan! I will have to make note now if my tan is directly proportional to my white craving! Thank you! And yes I will check you out! Your shoes... I think I need them in my closet - they are adorable! Loved the post. Oh yes every girl needs them in her closet! They're great! Thanks, Bethany!! And thanks for cohosting!! The color combo is great - nice balance! And the details are fantastic - the brooch, the shoes! Thanks, Lisa! I was surprised how much I liked this outfit. I was very skeptical! Love this combo! Those heels are gorgeous! Thanks, Jacqueline! So happy you cohost the link up! !